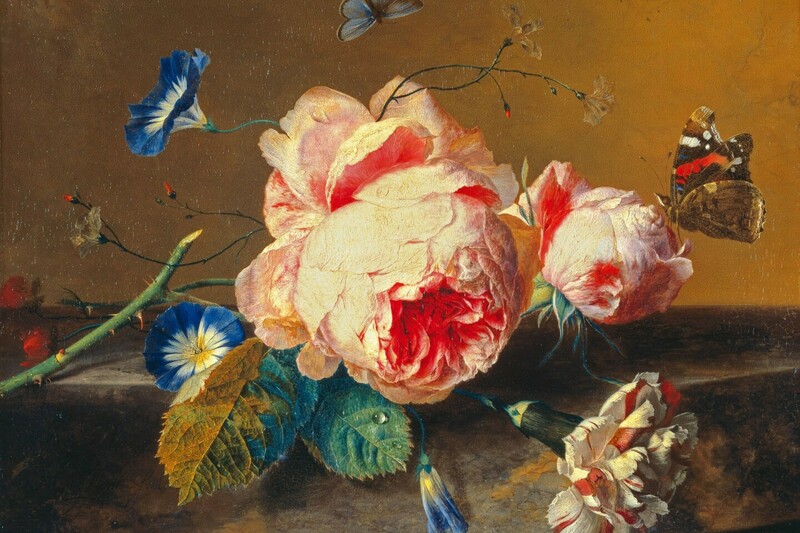 Discover floral wonders both romantic and gothic with beautiful artwork of bouquets, botanicals, roses and rose inspired art that spans the Age of Enlightenment to today. See in the art authentic questioning of what is beautiful and what is of value, or just plain enjoy the flowers—whichever brings you happiness. An easy going walk through an indoor visual garden of roses and bouquets of roses and some still life artworks some with snails can take you away from the cold and snow and bring you into the warmth of beauty and fun. Have a snack, discuss if you think any given piece is pretty, beautiful, gothic or subversive or just look and laugh at the amount of flowers we put into one exhibit. This exhibit is for entertainment purposes first and a little bit of greenery and nature when we need it most.